JLPT 4 vocabulary is available in the new vocabulary tool. The new list contains 901 words with nearly 100 comments to give you additional information. An important reminder for the JLPT, no official list exist. No list can claim to be perfect. Words in the "proposed" lists on JA were picked based a statistical analysis to make them as reliable as possible. And for this, every word was translated manually rather than taking generic lists that can often be found on the Internet. For each word, the available pronunciation also respects the NHK recommendation for a formal Japanese. The intonation can actually greatly vary depending on the linguistic regions of Japan. So you are in possession of an excellent source to learn your vocabulary. Great! 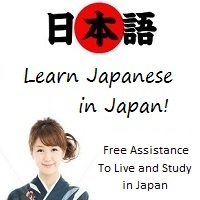 I'm right now learning for the JLPT 4. So perfect timing! Thanks a lot for you great work.